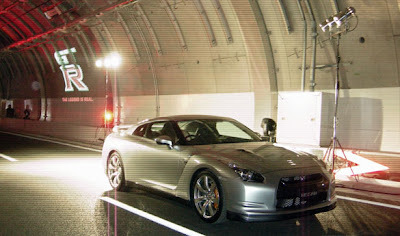 CEO Carlos Ghosn gives us a sneak peek at his new dream car, the GT-R, on the streets of Tokyo. (Fortune) -- "You can't plan your life, because if you do, it will be too narrow," shouted Carlos Ghosn over the bellowing baritone of a twin-turbo V-6. We were tearing around Tokyo on an unseasonably warm and sunny winter morning in Ghosn's personal chariot, the first production GT-R, Nissan's new supercar. Ghosn (or Sir Carlos, since his knighthood in 2006) was no doubt referring to his unprecedented turn as dual CEO of Renault and Nissan, but he might as well have been speaking about the GT-R itself, a car he wanted to prioritize but couldn't when he first took the helm at the No. 3 Japanese carmaker in 1999. .